A Sukhoi Superjet 100 from Yakutia airlines that was completing a Ulan-Ude-Yakutsk flight has rolled off the runway after landing. There were 91 passengers and 5 crew members onboard the plane. Four passengers requested medical assistance. 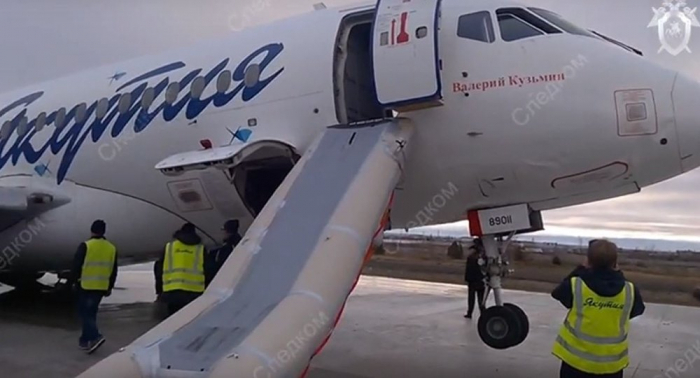 A criminal case has been initiated into the accident with the Sukhoi Superjet 100 from Yakutia airlines about a possible violation of safety rules on air transport, according to the official Telegram channel of the Investigative Committee of Russia. The investigators have examined the scene of the incident, appointed judicial medical tests as well as questioned participants and witnesses to the accident.